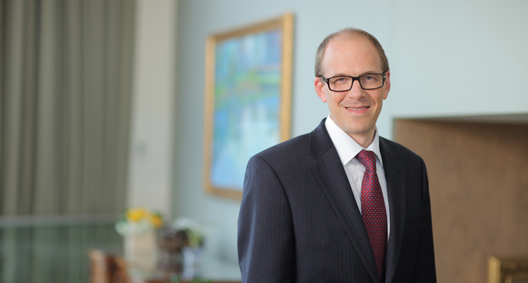 Dan Foix advises clients on a range of antitrust issues and represents clients in commercial disputes, with a particular focus on antitrust litigation, class actions, and investigations. He routinely counsels clients on matters ranging from antitrust questions that arise during day-to-day business operations to strategic marketing initiatives and pricing regimes. Dan also represents clients in commercial disputes, particularly antitrust litigation and class actions. He has provided vigorous representation of large companies defending antitrust claims brought as individual and class action cases. He also has helped clients bring antitrust claims as plaintiffs, recovering more than $400 million in settlements for clients in recent years. In addition, Dan represents clients in merger and other investigations by antitrust enforcement authorities such as the Department of Justice and Federal Trade Commission. He has guided clients through investigations, helping reach resolutions that make business sense. Dan is the editor of BakerHostetler's Antitrust Advocate blog for which he is a regular contributor, and he also publishes and presents on best practices and developments in the antitrust and class action sectors. His antitrust experience and client representation has been recognized by leading attorney directories, including being “recommended” for antitrust-civil litigation/class actions by The Legal 500 (2017) and being selected as a “top rated antitrust litigation lawyer” by Super Lawyers (2017). Member of a team representing a large global manufacturing client, providing advice as well as representation during any litigation that may arise. Has served as a key team member in state and federal court litigation involving antitrust, dealer termination, breach of contract, and fraud claims. Represented a food company in a hostile dispute with a rival corporation over the misappropriation of product packaging trade secrets. The three-year matter was resolved via settlement of all claims reached on the eve of trial. Represented a global news company in a Department of Justice investigation of a proposed merger. The client received clearance following an intensive, expedited second request for information. Represented a group of insurance companies and individuals in a Department of Justice investigation of alleged anticompetitive pricing practices. The investigation closed following limited discovery, with no action taken by the government. Represented an international oil company in an investigation of a potential price-fixing claim against a service provider. The matter was later settled. Represented a food and beverage company in a Federal Trade Commission investigation of a proposed acquisition. Obtained acquisition clearance. Represented a class of tobacco growers in price-fixing actions against tobacco dealers and cigarette manufacturers. Recovered funds for the clients in a series of settlements after extensive litigation, with a remaining defendant settling at trial. Did You Know the ‘Plausibility' Standard Can Be Used for More Than Pleading Antitrust Claims?